Black brick tiles may seem like they might take the light out of a room and therefore make it appear smaller, but things are not quite so simple. Black is used all the time by designers as a base on which to build a desired effect. Black is a basic colour and anyone who is familiar with fashion will notice how often black trousers or jeans are coupled with bright colours to create a striking look. Whist white brick tiles clearly have the advantage in increasing the reflected light in a room, black brick tiles can have the effect of emphasising the colours that are teamed with them without conflicting. H & E Smith Ltd manufacture black brick slips and our popular metro tiles and we also produce flat black field tiles in our Period Embossed Range. Our black brick slips continue to be an extremely popular product line. Eco-Glazed Brick Slips are produced at our Hanley factory from recycled Welsh slate dust. Our 215x65x15mm brick slip is created by taking the recycled slate dust and firing it on site to create one of our best selling products. These environmentally responsible bricks slips are then glazed and re-fired to produce durable and visually appealing black brick tiles for use both outside and inside properties. In addition to our black brick slips, H & E Smith Ltd manufacture these popular tiles in twenty other standard colours as well as having the capabilities to produce brick clips in any RAL colour if required. Request a sample of our black brick slips to see the quality of our products up close. The Metro tiles produced by H&E Smith are inspired by design style of the London Underground Tiles we have manufactured and suppled over the years. These versatile black ceramic tiles are ideal for creating a traditional look of a brick wall with a nod to contemporary design trends. These glossy, bevelled black field tiles form part of our popular range of Metro tiles. These bevelled black brick tiles are great for use in kitchens and bathrooms. Both black kitchen tiles and black bathroom tiles are a interesting alternative for white brick tiles in these settings. Our Metro Tiles are available in 75mm x 75mm and 150mm x 75mm sizes and come with a high quality bevelled edge. These tiles are an excellent product with which to create a feature wall or an entire room with! If you want to create a flat, black brick tile wall, our Period Embossed Victorian black field tile is a perfect selection for your project. These tiles are available in both 152mm x 76mm, 228mm x 76mm and our standard square 152mm x 152mm sized tile. Period Embossed victorian tiles are an ideal tool for installing a beautiful wall. The Period Embossed range also includes an full selection of solid glazed ceramic corner fittings to match the field tiles. 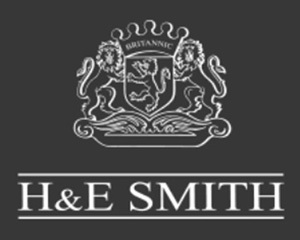 If you are interested in these tiles, please feel free to request a sample of our Victorian Black field tile from H & E Smith.